Supporting local businesses is great. But supporting a local business that is committed to giving back to the community is even better. 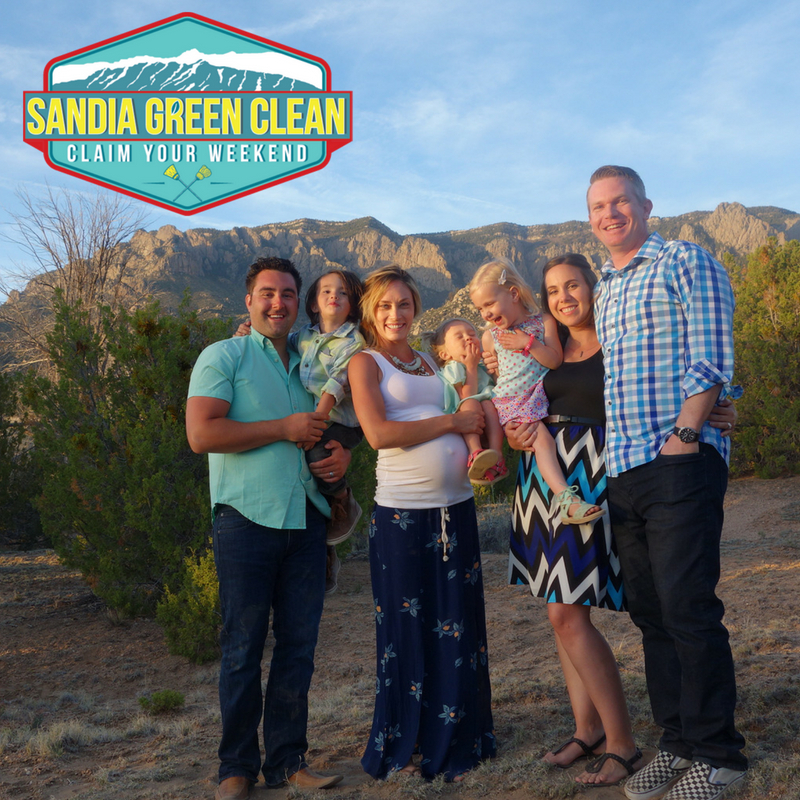 Meet Sandia Green Clean, one of the most contemporary (and kindest) Albuquerque businesses. Changing the way you think about home cleaning services, Sandia Green Clean is dedicated to doing things different. Launched in 2017 by two local families, this cleaning company is quickly becoming one of the most talked about new businesses in Albuquerque – and for good reason. Sandia Green Clean is dedicated to serving. They understand that the more you give, the more you get. This foundation is use to build each aspect of their business. As moms, it’s easy to have your entire day feel like one giant to-do list. But, in the midst of all the to-do-ing, we remember the reason why we’re trying to do it all: our families. 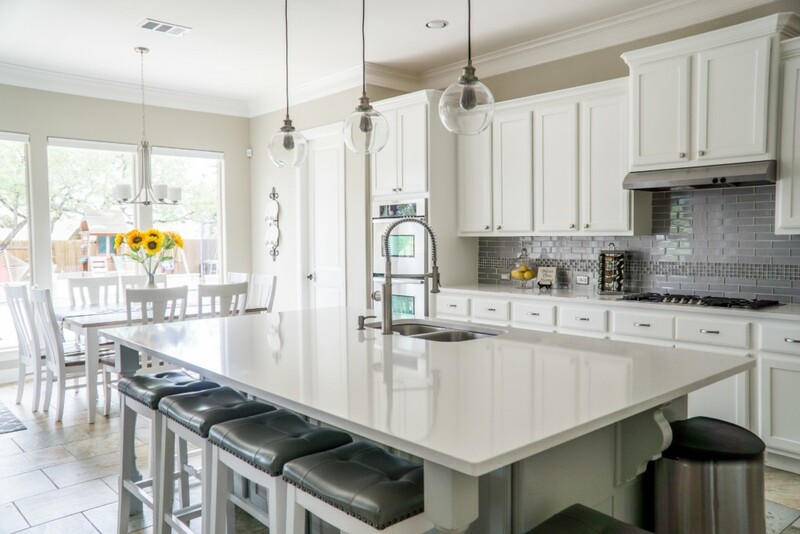 While most moms would raise their hand when asked if they would like help having their homes cleaned, many don’t feel comfortable actually following through in hiring someone to help. Maybe you feel unsure about the products that would be used or uncomfortable about strangers in your home. For one reason or another, you keep adding “clean the house” to your ongoing list of duties. But that’s where Sandia Green Clean comes in. Sandia Green Clean pays its employees a living wage – plus bonuses. Not only are they one of the top-paying cleaning companies in the city, but they are setting the bar for cleaning companies around the country. Sandia Green Clean uses green, eco-friendly, family-safe products. Combined, the founders of the company of have five children (all under the age of five). One of their biggest fears was having a cleaning service use unsafe products in their homes. By making smarter choices when it comes to cleaning products, Sandia Green Clean keeps its customers and employees safe. Sandia Green Clean gives back to the community with a unique partnership with UNM cancer patients. The company dedicates its resources to serving Albuquerque residents in need who are currently undergoing cancer treatments. These individuals get their homes cleaned at no cost. Schedule your free estimate today and get 50% off your first recurring clean. Sign up today! Is It Possible To Have a Clean Home While Your Kids Are Home?